As per the Legends, Rama while on their way back to Ayodhya after Killing Ravana who was a Brahmin worshipped Siva Linga here to get rid of the sin. Hence, the name RamaLingeswara. 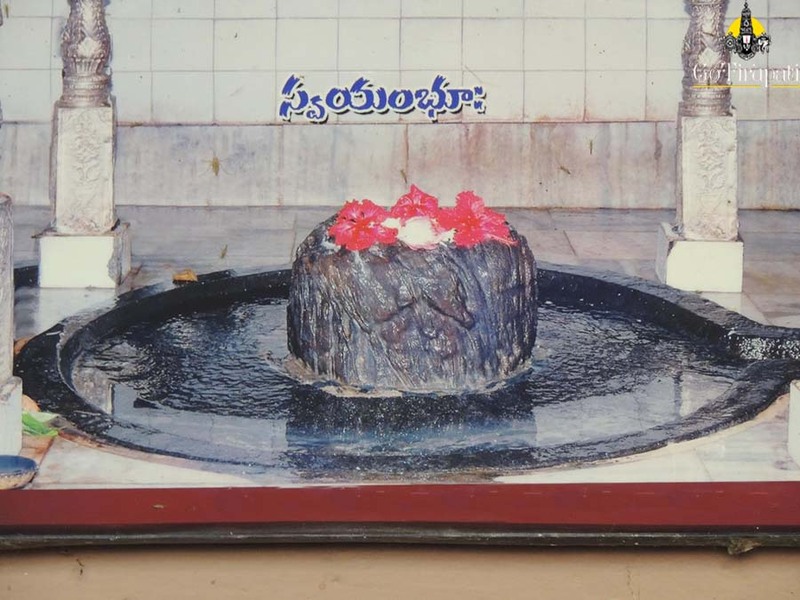 An interesting story associated with this temple, Once Two Saivites from Achanta, thought of worshipping Lord Siva in Kasi during Lingodhbava time. At the beginning of their journey, they came across a prostitute. One of the devotees attracted towards her and dropped his plans whereas the other with his pilgrimage to Kasi. The person who was performing Abhishekam to Linga during Lingodhbava time was distracted and keep thinking about his friend and pleasures. The one at pleasure house regretted and assumed Prostitute's Udder as Linga and started worshipping with devotion during Lingodhbava time. Impressed Lord Siva self-manifested here. Hence the Achanteswara (Aa Channu ta Eswara).